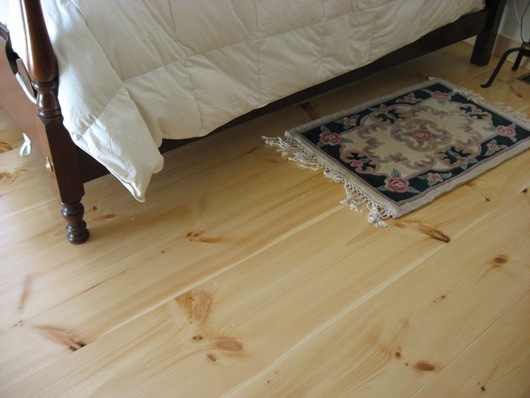 We offer wide plank Pine flooring in Eastern White Pine and Southern Yellow Pine in both solid and engineered. 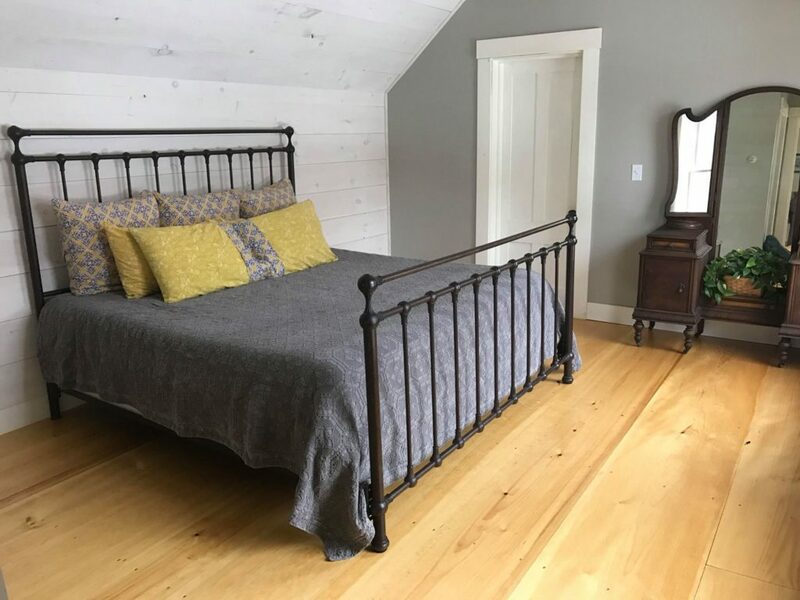 Eastern White Pine from the “Pine Tree State” of Maine is known for its rich character, its classic look and for the wide plank widths and long lengths that this king of the forest produces. 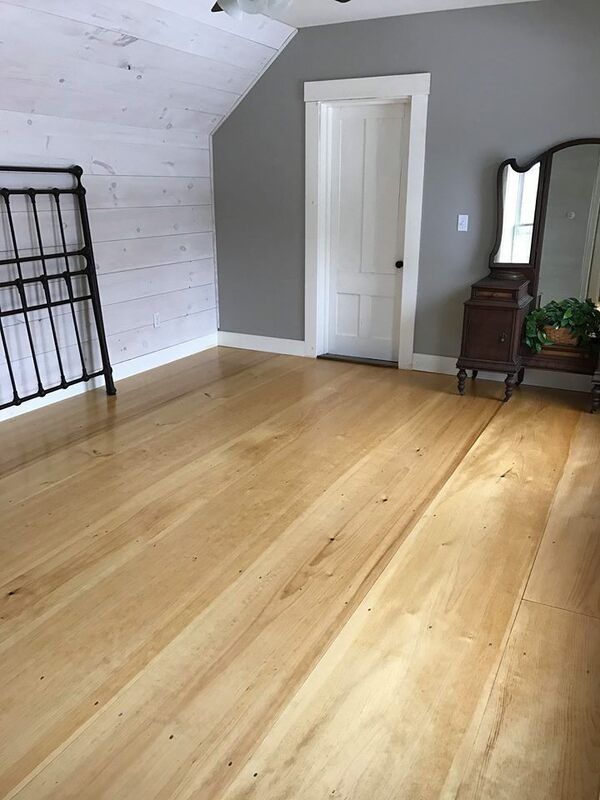 Available in knotty grades as well as CLEAR, our wide plank Pine floors bring that classic look to your home and will be enjoyed for years to come. 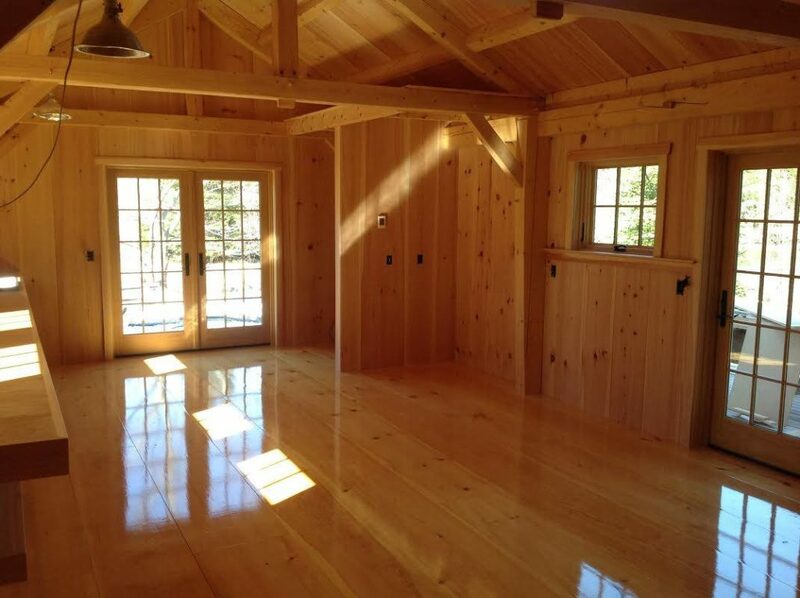 Early settlers chose wide plank Pine flooring for it’s strength and character, but also because they had lots of it! Eastern White Pine is plentiful in the Eastern US and Canada and the trees grow to become giants. 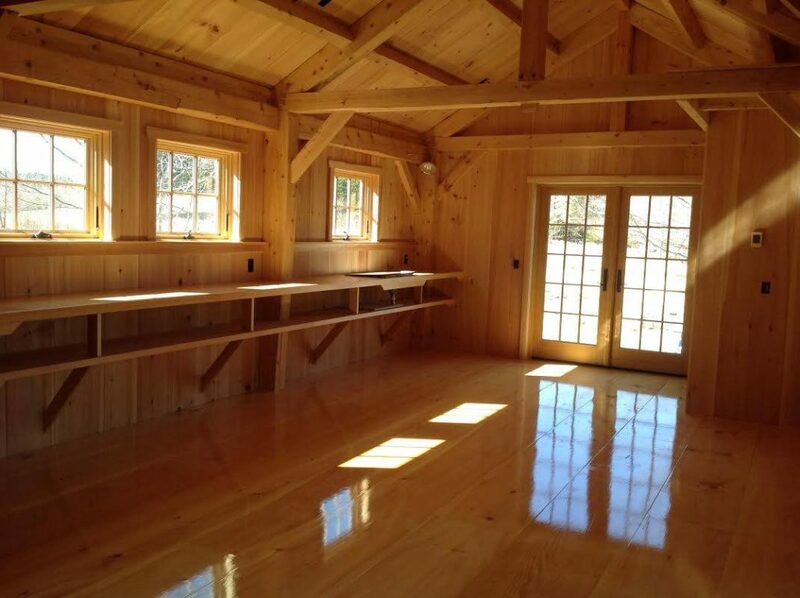 The logs are highly sought after throughout the world, and our craftsmen turn the logs and lumber into fine millwork, interior and exterior trim, and flooring. 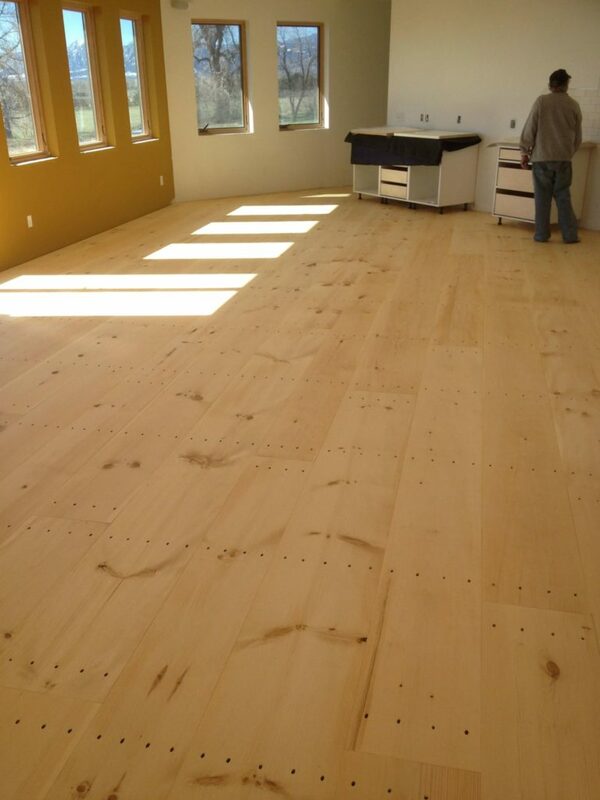 We take these large planks and mill them into solid flooring up to 20″ wide! 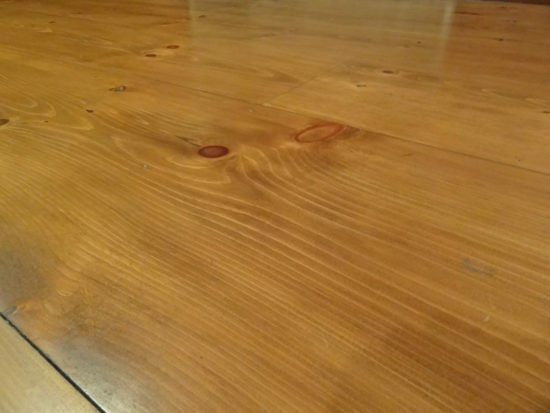 Also, most wide plank Pine lumber comes 8′ to 16′. 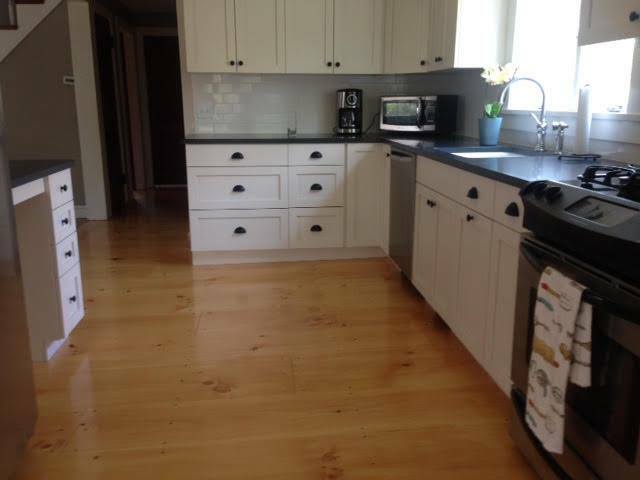 The flooring tends to be quite long as compared to hardwoods. Our company sources the logs direct from the woods and even from our own land. We can custom saw and dry the wood and have it milled to the size and profile that is required. We can have it finished or ship unfinished. 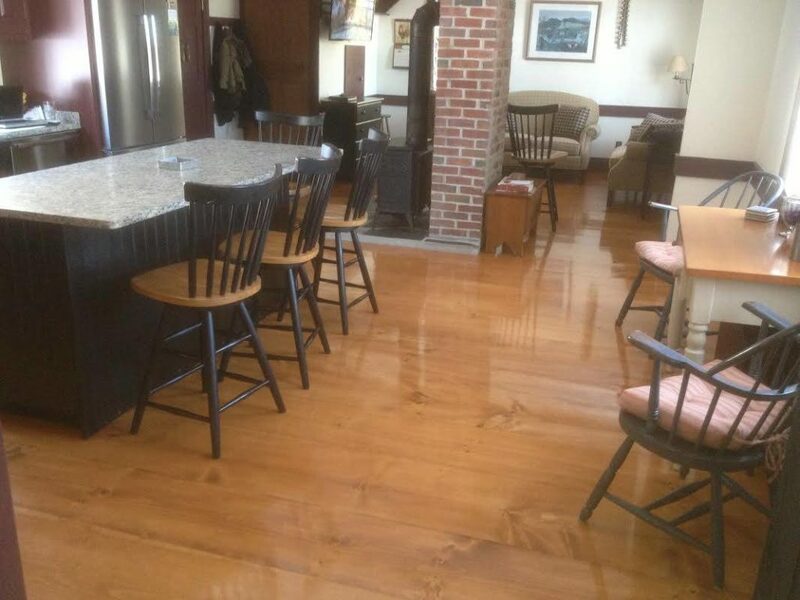 Give us a call today to discuss using wide plank Pine flooring on your next project for flooring, walls, ceilings, or trim. 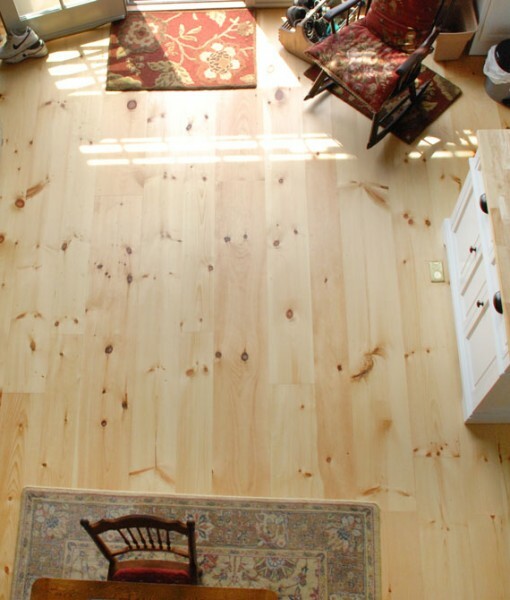 In addition to the Pine floors, consider using Pine for walls and ceilings. 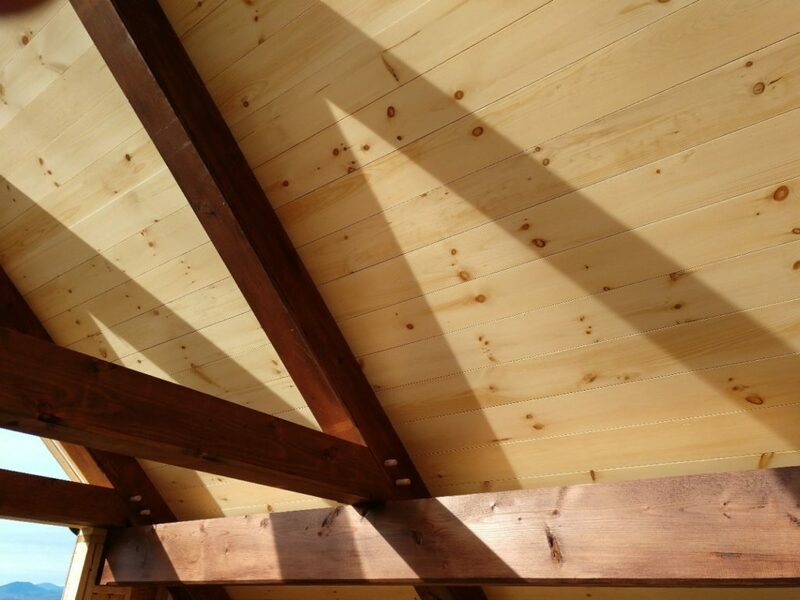 We provide nickel-gap, dime-gap, shiplap, center bead, and S4S profiles in both prefinished and unfinished. Add accent walls or do the entire interior of your project. Call us today to review color options as well as textured finishes like barn board, skip dressed, and rough face.